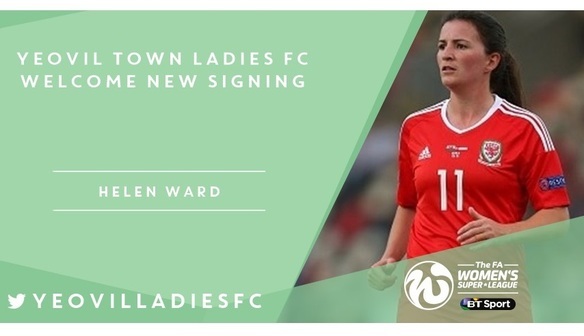 Yeovil Town Ladies FC are absolutely delighted to announce the signing of Welsh International, Helen Ward for the Spring Series season. Helen is the highest goal scoring Welsh International of all time (male and female), having netted 41 goals in her International career to date. Ward is an exceptional forward with an evident amount of experience within Women’s top flight football Nationally and Internationally. Earning 71 caps for Wales, spending 3 seasons at Reading FC Women and winning the WSL 2 title trophy in 2015. “What I am looking forward to is Wardie’s appetite, attitude and determination to remind others that she is a centre forward and a goal scorer” he added. Prior to her time at Reading, Helen won the league twice with Arsenal (2009-2010), plus the FA Cup once and whilst at Chelsea (2010- 2013) she scored in the FA Cup final but missed out on lifting the trophy losing at penalties. On joining Yeovil Town Ladies FC, Ward said: “I am excited to join Yeovil, I was very impressed with how the girls won the title last year especially up against tough opposition throughout, it’s a tough league to get out of and so to win the league was fantastic. Ward added: “As an experienced player I’d like to think I can add a bit of know-how to the squad, I have been lucky enough to play in this league for a few seasons and I hope that adds to what we’ve already got. Yeovil Town Ladies FC first fixture as a WSL 1 club in the Spring Series will be competing against Liverpool on April 23rd. 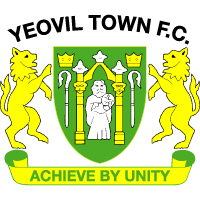 Tickets for all our home matches will be available to buy via www.yeoviltownladies.com soon.